Bring the NEW Zoo to YOU when you can’t make a trip to the NEW Zoo! We can meet your group’s needs with an ‘edZOOcational’ program brought right to your location! Talk about a wild way to get your students excited about education — we’ll bring the NEW Zoo right to you! Our live animal ambassadors will be sure to liven up any classroom, special event, or school assembly. We offer a variety of pre-designed programs, or we can tailor one specifically for your group’s needs. Just let us know! Each of the following programs can be delivered as a Class or Assembly, unless otherwise noted. Although geared towards certain grade levels, we can adapt our programs (listed below) for nearly any audience. Call for details. Our educator will bring a fun, animal-themed story book to share with the audience. After the story, students will be introduced to up to four different animals – at least one of which they may be able to touch (based on children’s ages). Recommended for audiences aged 5 and under. This basic introduction to animal classification focuses on animal ‘coverings’ to teach the differences among mammals, reptiles, amphibians, birds, and invertebrates. Recommended for grades Pre-K through 2. Students will learn about different habitat types and the variety of animals that are found within them. Recommended for grades 1 through 4. This class defines and then focuses on physical and behavioral adaptations that animals have to survive in their environments. Recommended for grades 4 through 6. Suitable for Meet & Greet programs. This program includes discussion on the differences between day– and night-active creatures, with a focus on how nocturnal animals are able to survive in diverse ecosystems. Recommended for grades pre-K through 6. Students will examine the five major causes of species endangerments and extinctions worldwide. Included is discussion on daily actions students can take to help protect animals and their environments. Recommended for grades 6 through 12. Suitable for Meet & Greet programs. This program provides students and teachers with an inside look at the recent events going on at the NEW Zoo. Recommended for adult audiences. Our most popular Private Parties are Birthday Parties. These can be done at your home or other location, provided the location meets our temperature and other guidelines. Each Private Party Zoomobile typically involves five animals. Individual animals cannot be guaranteed in advance, due to animal temperaments and emergencies that can occur; however, we do take requests and try our best to accommodate them whenever possible. This is our most popular Birthday Party program. It includes visits from a “variety” of program animals, including mammals, reptiles, birds, amphibians and sometimes even invertebrates. Suitable for Presentation-Style and Meet & Greets. This program focuses on the more “cuddly” critters in our Program Animal Collection. Includes visits from birds and mammals. 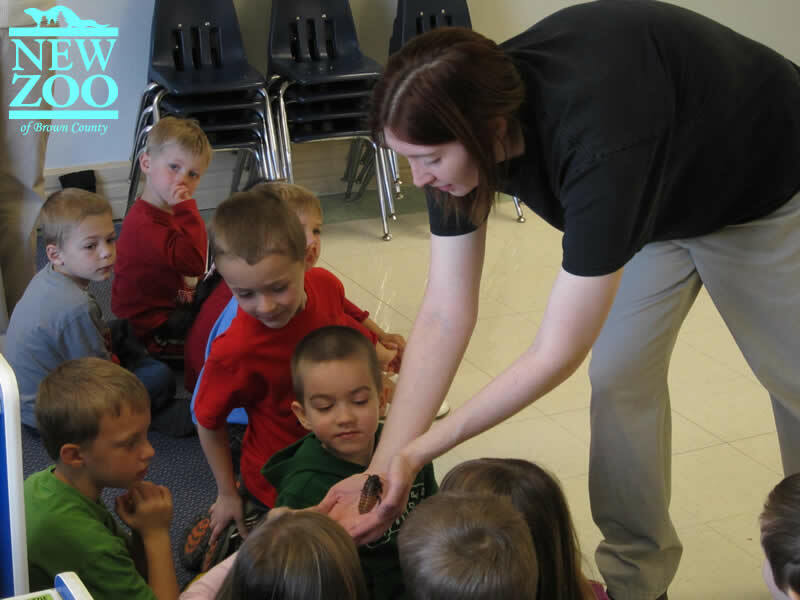 This program is geared towards those kids who love the “creepy crawly” critters! 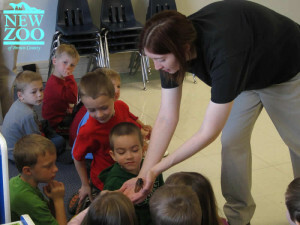 Includes visits from animals such as our snakes, lizards, roaches and frogs.